We are happy t o announce that Leman Engineering and Consulting is now in the E-house business! What is an E-house? “E-house” is shorthand lingo for an Electrical House / Power House. 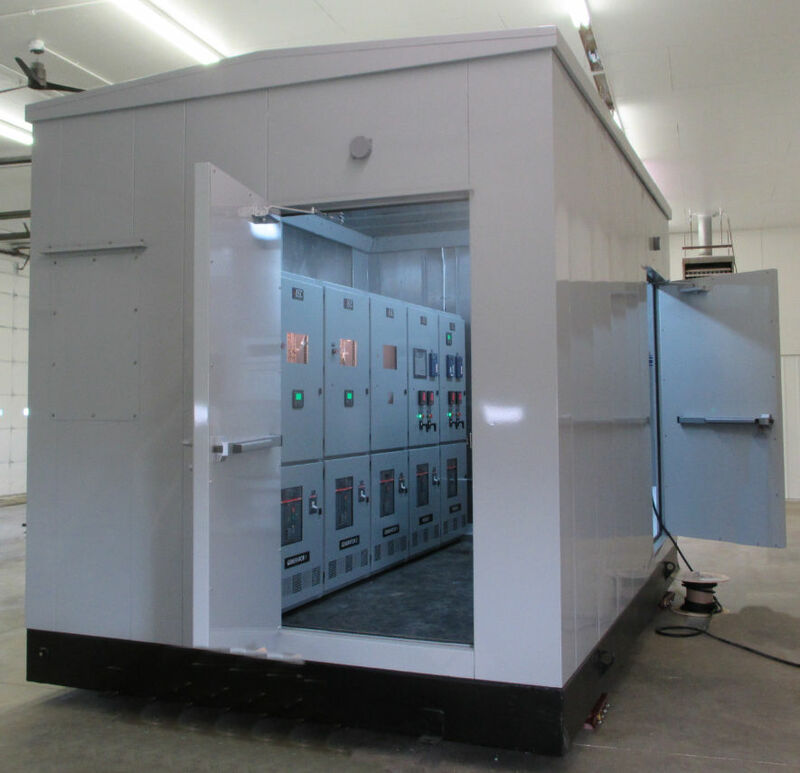 This is a pre-fabricated, outdoor building with low voltage or medium voltage switchgear installed inside. LEC E-houses are built on a structural steel base with formed steel walls and roof. 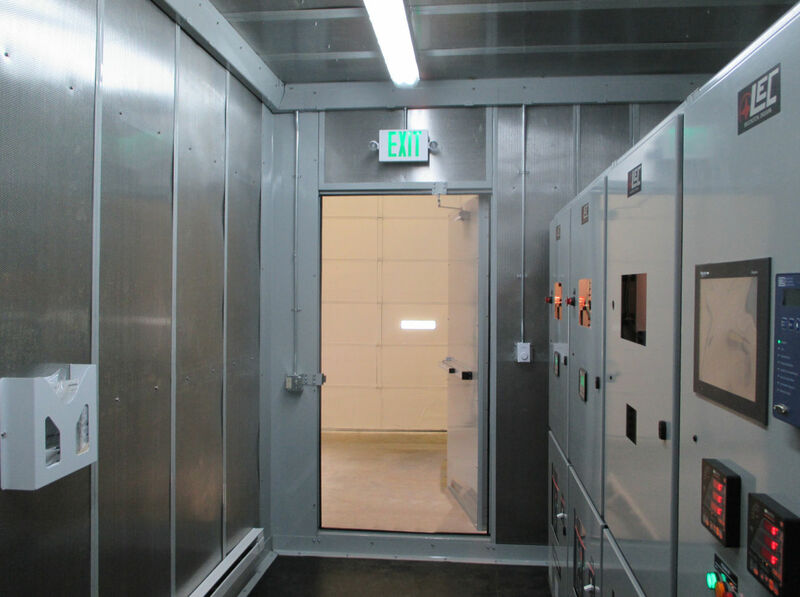 Our E-houses feature HVAC, floor, wall and ceiling insulation and other great features to make these buildings very friendly in an otherwise hostile environment. When is an E-house especially useful? In remote locations where it is less practical to bring in construction crews. Or, when you want to minimize on-site prep work. You can literally run screw piles into the ground, use a laser transit to cut the piles level, set the E-house on top of the piles, weld and voila! You’re ready to go! Here at LEC we use an excellent E-house supplier to provide us the empty buildings. 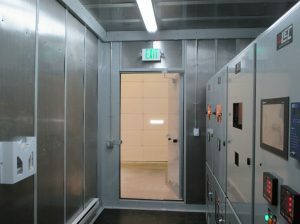 We lovingly install our top-notch LEC switchgear into the E-house. We do all the electrical work inside to complete the building. We can bring in UL/CSA inspectors as necessary to label the finished product. And off it goes to the job site! Want less hassle in your life? Try an LEC E-house on your next project!